Abu Dhabi: Over the next few years, the conversation about the Palestinian-Israeli issue will switch to the provision of equal rights in a single state, Dr Anwar Gargash, UAE Minister of State for Foreign Affairs, said in the capital on Wednesday. “I think the conversation in 15 years’ time will be about equal rights in one state. I know that this conversation is there right now, but it is [still] on the margins. 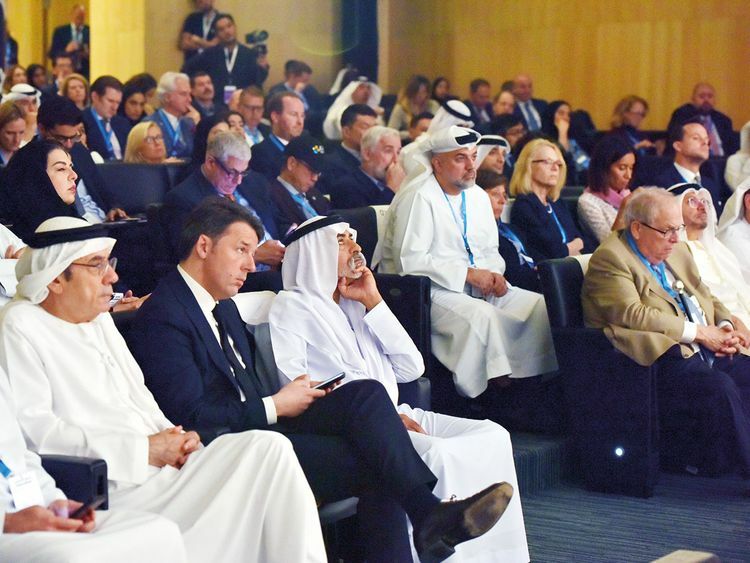 But it will shift [in focus] because a two-state solution will no longer be feasible and a reduced rump state will no longer be attractive,” Dr Gargash said during a discussion at the Ideas Abu Dhabi Forum at New York University Abu Dhabi. “Many, many years ago, when there was an Arab decision not to have contact with Israel, I think it was a very wrong decision. Looking back, clearly, you have to [differentiate] between having a political issue and keeping your lines of communication open. This has not resolved the issue but complicated it. But I think we will see more contact with Israel by various Arab countries in the next few years, like a small cyber deal here or an agricultural deal there or a visit by the [Israeli] Prime Minister,” he added. Dr Gargash went on to call for progress ‘on the peace front’ between Israel and Palestine. I think the conversation in 15 years’ time will be about equal rights in one state. I know that this conversation is there right now, but it is [still] on the margins. “From the perspective of the UAE, we need to resolve this issue because it has a tendency to jump out of the background when it is quiet,” he said. Ideas Abu Dhabi is a two-day forum to discuss complex global challenges. It is being organised by the Aspen Institute, an educational and policy studies organisation based in the US, in collaboration with Tamkeen, an Abu Dhabi Government-owned entity that runs projects to enrich the emirate’s social and cultural landscape. The first session at the forum focused on the changing world order, with Dr Gargash and Gordon Brown, former United Kingdom Prime Minister, featuring as key speakers. In addition to addressing the Palestinian issue, Dr Gargash called for the establishment of a stable Arab regional order, and the eschewing of ideology in favour of a stable, realistic approach to the economy. “The regional order has never worked very well, but in the last 15 years, it has been dismal, allowing countries like Iran and Turkey to become major [players in the] Arab [world],” he said. “So when you look at the biggest Arab crisis in the 21st century — Syria, there is zero Arab influence. Countries like us are in a conundrum because the rules of the game are changing but the new rules are not out. And suddenly, we have a challenge like Yemen. What do we do here? Do we secure our own regional stability or do we allow the emergence of another Hezbollah scenario? These are two tough choices. We made the first choice and we noticed that our strategic narrative is leading us to a more humanitarian narrative, and in many ways, rightly so,” Dr Gargash added. The minister also said the successes of the UAE are being emulated by other countries, and that the country’s methods should be made more accessible in order to promote regional success. “We [should] lay out our approach [to fields like education, aid and entrepreneurial incubation, for example], make it accessible and stay far away from saying it is ours because [this could spark] defensive nationalism. We should also look at what we’re not doing so right, and be in a perpetual study of our experience,” Dr Gargash said.